PANALIS Mission is to provide information from parliamentary and non-parliamentary sources for the Issue- and Stakeholder-Management and to value the information with smart algorithms at an earlier stage for your political work. 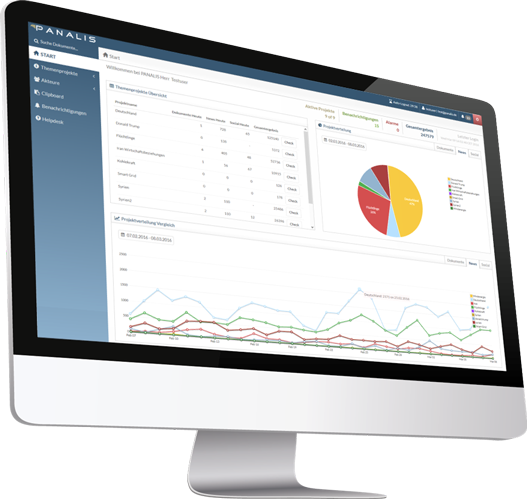 PANALIS allows you to keep track despite constantly increasing complexity, dynamic and institutionalization. 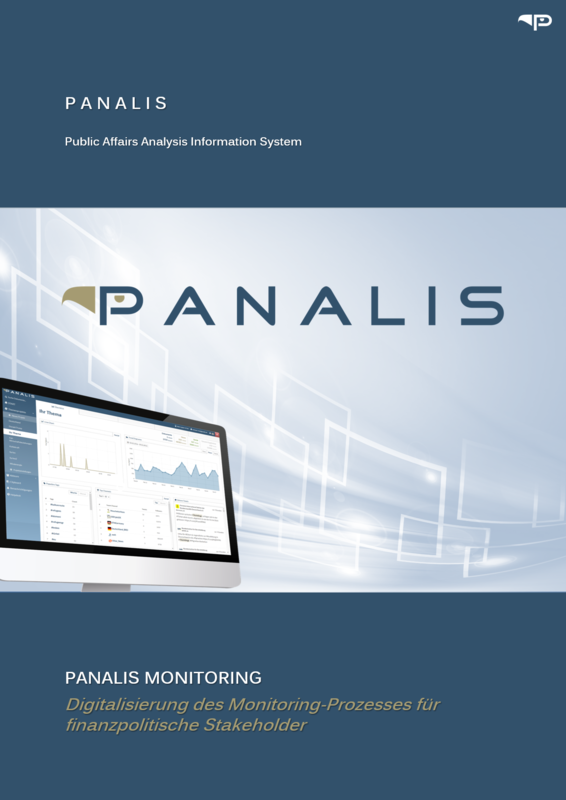 PANALIS Monitoring combines various channels and provide you a faster, more structured and more safe access to a pre-parliamentary Zone, Alliance, Country and Europe, Stakeholder and News sources as well as Social Media. Create your focus topic as a search request. Monitor, analyse and share relevant publications, developments and changes. Use the intelligent filter and tools for professional Issue Management. Identify the standing of institutional actors, parties, advocacy groups, organisations and corporations. Our efficient search engine operates faster than RSS and various Databases and reads all publications from the various websites and social media. Comment and share publications and ideas together and interdepartmental with the Team or with the organisation. PANALIS Monitoring is your safe connection – from any location either the office or en route with the Smartphone. Experience how PANALIS helps to act more successful and more efficient. of the persons responsible in various corporations are using constantly political sources.